If you want a perfect mix of tradition and trend, then here is what has been waiting for you. 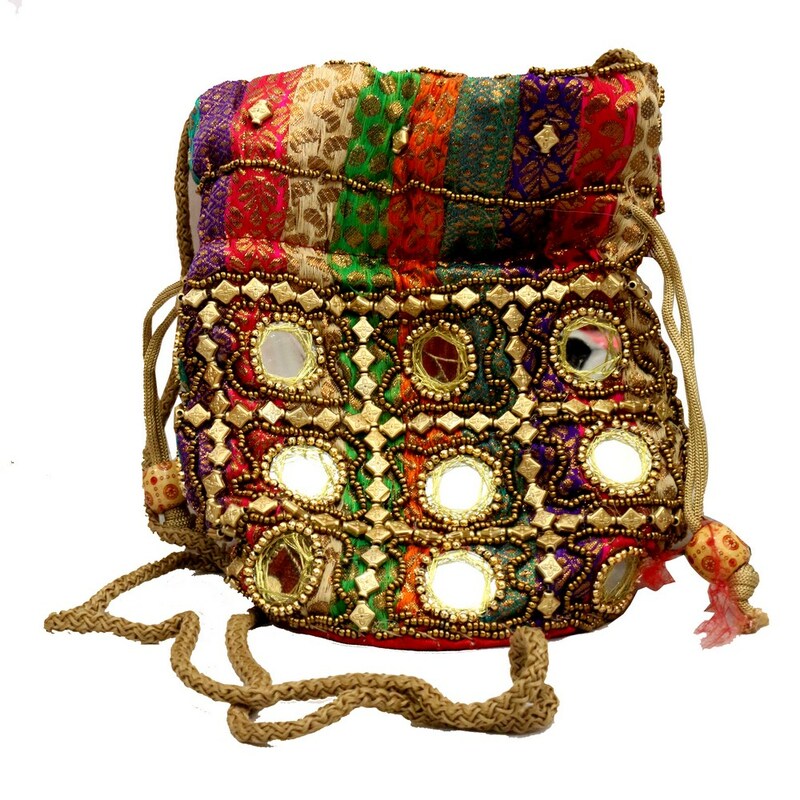 This ethnic looking multicolor designer bag Read More..is striped with multicolor patterns. The potli is well characterized by round mirror work and sequence work. Attached with golden threads, this potli just looks all the more synchronized. Show Less..